Spend £25, enter a code, and get £5 off your order. 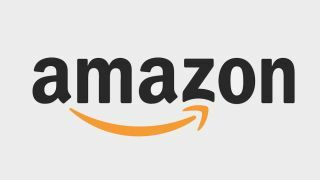 Get £5 off all PC games, peripherals, and parts at Amazon. Here's a straight link to Amazon PC and games store. If you've been holding off buying that new mouse, or you need a new gaming headset, or you just want a bit of money off The Division 2... Amazon is having a 'thank you' event that means you get £5 off all qualifying orders, if you spend £25 or more. All you need to do is enter the code 'BIGTHANKS' when you get to the checkout. Easy! You're welcome, for the PSA, but we've also hunted down a handful of the best bargains we could find on Amazon right now, to help you get even better value for money. Check out the deals below, and note that the prices we list include the extra £5 saving. Of course, this is just a taste of the savings you can make, and don't forget to add the code BIGTHANKS at checkout to get the savings. But if we were buying stuff from Amazon today that we definitely can't afford, and damn it, we're going to do it anyway, then these are the things we'd probably buy.